Charlotte Tilbury Instant Eye Look for Holiday 2017 | Top Beauty Blog in the Philippines covering Makeup Reviews, Swatches, Skincare and More! Exciting news, friends! Charlotte Tilbury's limited-edition Instant Eye Look palette – a a revolutuionary control-pressed palette that will change the way you apply your eye makeup – for Holiday 2017 is now available at Beautylish! Go from desk to date night to dance floor with an all-in-one eye palette for every occasion. 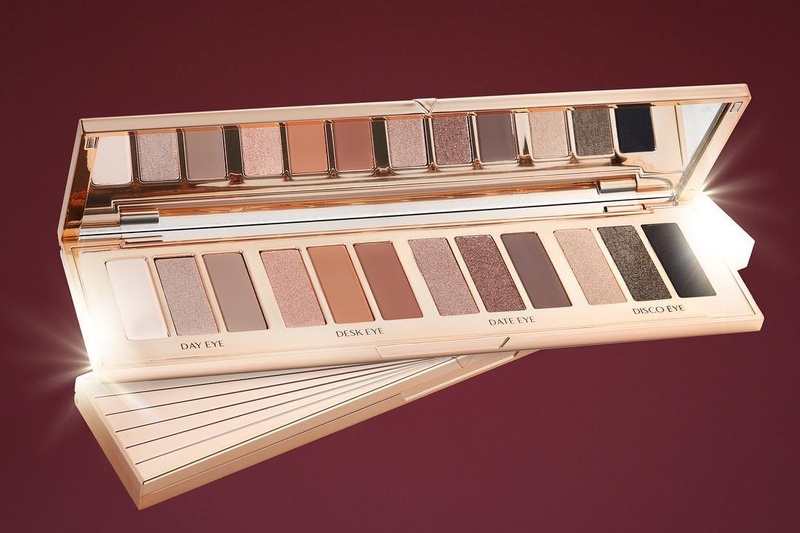 Whether you want a sophisticated daytime look for work or a sultry smoky eye to steal glances at cocktail hour, Charlotte Tilbury’s cleverly designed Instant Eye Palette puts the key to classic eye looks in the palm of your hand. The Day Eye: Fresh and naturally chic, this girl-next-door look is perfect for brunch with friends. It brightens and widens the eyes, banishing any traces of the night before. The Desk Eye: A stylish, sophisticated, chocolatey-brown smoky eye that’s easy for anyone to create—even in the back of a taxi on the way to a meeting. The Date Eye: The ultimate soft, dreamy look. Charlotte took sultry, shimmering tones from the runway to create mesmerizing depth and glowy freshness. The Disco Eye: Your go-to party look. Deep black meets molten gold for a dramatic ‘70s rock-inspired look that catches the light and keeps all eyes on you. Totally covetable! All the shades look so pretty and wearable! IN Love with this palette!! Oh wow, I need to have a look at this beauty!